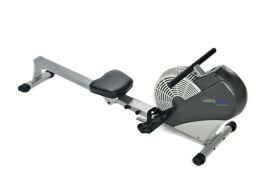 Using a rowing machine for exercise provides a full body workout that results in a highly aerobic exercise routine. Regardless of whether you are a professional or recreational rower, there are times when you cannot get out on the water for a real workout. In addition, if you never want to get out in a real boat but still want the exercise, a rowing machine offers the workout you want. Be aware that home rowing machines are not for everyone. In terms of exercise equipment, they are relatively expensive and can take up a huge amount of room in the house. 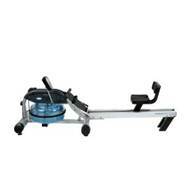 After you have decided you do want to make the purchase, there are several machines that are in the category of "best rowing machines". For those who prefer to exercise at home, there are several machines that can offer convenient exercise. The first 5 machines below are the best rowing machines to use at home which offer great exercise for less than $1800 each. Note that the prices listed here are prices from Amazon.com. Advantages: A gym quality machine at an affordable price, the Concept2 rowing machine offers resistance while keeping the machine very quiet. The monitor on this machine uses your energy to recharge as you row. Motivating games are included that you can play on the monitor as you get your workout. This machine breaks down to make storage easier. 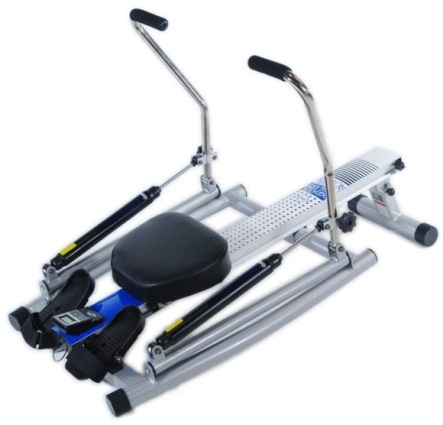 Advantages: The RX-950 is a heavy duty machine designed to be used at a gym or in the home. 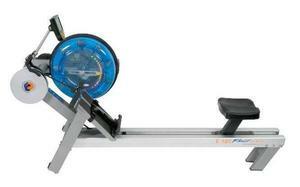 This machine features a great display that you can easily see as you row. Because the machine relies on a water tank for resistance, you actually feel as though you are rowing in water. There is an optional lumbar support seat for this rowing machine. 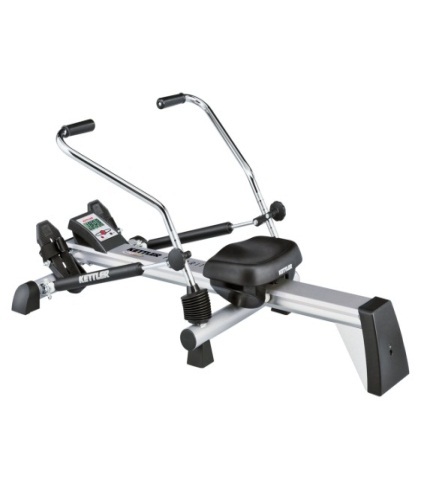 Advantages: Another commercial-type rowing machine, the E-520 is also designed for daily use. This machine allows you to set one of 20 levels of resistance to keep your workout challenging. Easily the most expensive machine in the list, the E-520 should last your family a lifetime. Advantages: The Lifecore R100 is smaller in size than many of the others on this list. For this reason, it is often the choice for home use. 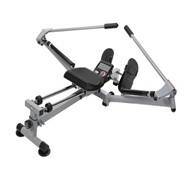 This rowing machine offers many of the bells and whistles of other machines, but it can be folded up for easy storage. The monitor on the Lifecore R100 is one of the real negatives of this machine. 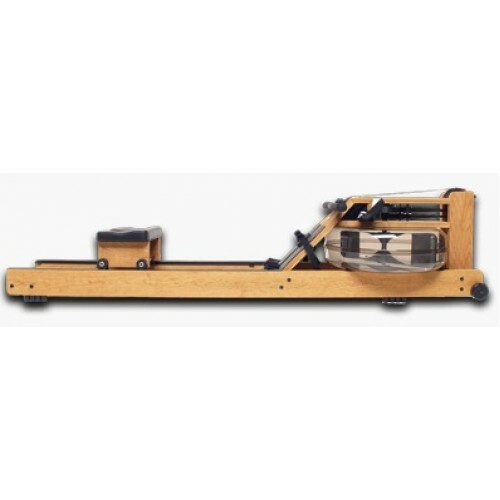 Advantages: The least expensive machine of the high-budget rowing machines, the WaterRower uses real wood and water resistance for a very authentic look and feel. The monitor on this machine is also one of the best in the group. The next five machines can best be described as "budget rowing machines". These machines offer the rowing experience and exercise at a much lower cost. Advantages: For excellent performance at a budget price, the RW100 rowing machine is one of the best available. It offers smooth resistance in a solid steel frame. This machine is very sturdy and folds up for storage. The monitor is simple and easy to read. 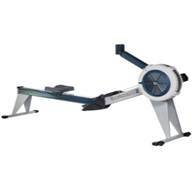 Advantages: Another budget rowing machine, the Kettler provides realistic resistance and a rowing movement that closely mimics the real thing. This machine has the added functionality of audio prompts to practice team rowing. 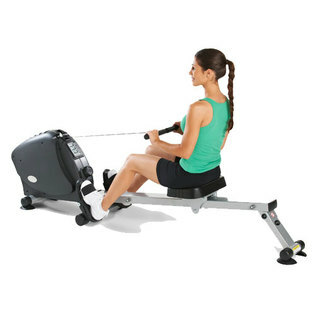 Advantages: The HCI Fitness rowing machine is a rugged machine that works fluidly. The resistance on this one is hydraulic rather than water so it is not quite as realistic as some of the others, but the actual rowing motion is much more realistic than some of the more expensive machines. 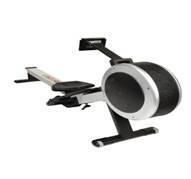 Advantages: The lowest priced rowing machine on this list, the Stamina 1215 makes the list because it is one of the best rowing machines for those with limited space. The resistance is good and the padded seat ensures a comfortable workout. The display is minimal but functional. Advantages: Another one by Stamina, the Air Rower offers realistic resistance in a small machine. Unlike other air rowers, this one is not very noisy. This rowing machine can be folded up for easy storage after providing a decent workout. Start in the "finish" position with your body leaning back, your legs straight, and your elbows bent with the rowing handle pulled into your chest. Move into the "arms away" position by straightening your elbows. Keeping your arms and legs straight and move to the "body over" position by leaning forward at the hips. Move into the "catch" position by bending your knees up to your chest while keeping your elbows straight. Drive your legs into a straight position, lean back and pull your arms back into the "finish" position where you started. Repeat this process working to make the motions very fluid.